The tragedy that transpired earlier this week over Latakia led to a lot of questions about what exactly happened on that fateful night, but answers won’t be forthcoming until the conclusion of the investigation. The whole world is already aware that the Syrian Arab Army (SAA) mistakenly downed a Russian plane over Latakia when responding an Israeli attack against the city, one which the Russian Ministry of Defense said was carried out recklessly against the spirit of cooperation between the two countries because the aggressors’ jets used the Russian plane as cover to evade their target’s defenses, thereby making them responsible for the killing of 14 servicemen. Israel, while expressing “sorrow” and “regret”, nevertheless expectedly pinned the blame for what happened on Syria, Hezbollah, and Iran, putting forth the argument that the strike wouldn’t have happened in the first place had Iran not been about to imminently transfer arms to Hezbollah on Syrian territory that were ultimately destined for use against the self-proclaimed “Jewish State”. As for the Russian Ministry of Defense’s claims about Israeli recklessness, the IDF refuted them and said that it will fully cooperate with the Russian investigation into the matter. About that, one of the first things that Russia will seek to establish is whether Israel is telling the truth, be it in full or only in part, because the Ministry of Defense spared no words in unambiguously laying the blame on them for the tragedy even though President Putin’s official remarks on the event were much milder. Relatedly, Russia will also have to determine the veracity of whatever evidence they’re handed by their Israeli counterparts, since the possibility exists that Tel Aviv might try to cover its tracks by faking flight data and other such details. It’s too early to say whether this will happen, though one must always keep in mind the Ministry of Defense’s stance on the issue and the evidence that it presented on Tuesday which Moscow claims is proof of Tel Aviv’s responsibility for the tragedy. Even if this is the case, as it does seem to be at this point, the investigation obviously wouldn’t stop there but would continue in order to obtain as comprehensive of an understanding as possible of the total context in which this took place. Specifically, Russia needs to find out exactly why Israel carried out the attack that it did and whether it was assisted in some capacity by France, as was initially reported and has since given rise to actual conspiracy theories because that tangent of the story hasn’t been followed up on with any official commentary. If, as the narrative goes, France was the one that actually shot down the Russian spy plane, then it sounds implausible that Israel would tacitly take the blame for this by unprecedentedly acknowledging “sorrow” and “regret” for what happened, as Tel Aviv has hitherto shied away from ever expressing such sentiments about any ‘collateral damage’ that its military operations have wrought. Returning back the realm of reality but recognizing that the French conspiracy theory does have a certain logic to it (however farfetched it may be without any collaborating evidence other than hunches), attention will surely be paid to Iran’s suspected activities in Syria. Unlike Israel, Russia doesn’t regard Hezbollah as a terrorist group, but it still passively facilitated over 200 of the former’s strikes against the latter and their Iranian partners in the past 18 months alone via the so-called “deconfliction mechanism” between Tel Aviv and Moscow, the same channel of communication that supposedly failed during the tragic night of 17 September. 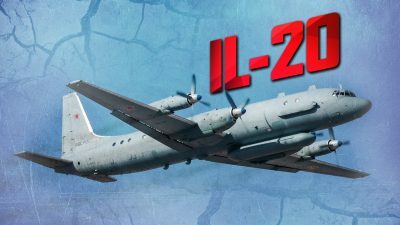 The Russian Ministry of Defense expressed shock that Israel would only present a minute’s notice prior to their attack, which caught Russia off guard and was supposedly the reason why its spy plane couldn’t leave the area of operations in time. Although President Putin did in fact accuse Israel of violating Syria’s sovereignty with these sorts of attacks, the Russian military never did anything to stop them and, as was written, passively facilitates them through the “deconfliction mechanism” aimed at preventing an inadvertent clash between the two. If Russia discovers that there’s any truth to Israel’s claim that it was acting against an imminent Iranian arms shipment to Hezbollah, then it would enable Tel Aviv to weave the narrative that Tehran and its surrogate’s refusal to leave Syria after President Putin’s public hint in that direction is “more responsible” for prompting the circumstances that led to the latest tragedy than Israel’s reaction to this “provocation”. After all, Russia has been passively facilitating Israeli strikes against these same targets for almost exactly three years already, and Tel Aviv could claim that its failure to adequately notify Moscow of its operation was because it had received intelligence about this arms transfer at the very last minute and had to act right away in order to stop it. The so-called “Iranian trace” in this tragedy might even be larger than that too, which is why it’s another topic that will certainly be investigated. For example, it’s acknowledged by Iran itself that it’s dispatched “advisors” to Syria, and considering that the Islamic Republic also has its own S-200s, it wouldn’t be unbelievable to imagine that it might have even sent some “advisors” for handling Syria’s systems as well. That’s why Russia will need to find out exactly who pulled the trigger, who advised/trained them both before and possibly during that fateful night, who gave the order, and whether there was any foreign presence involved (Iran). It’s not at all to imply that this friendly fire tragedy was actually a deliberate attack, but just that all facts pertaining to it must be known, and if Iranian’s indirect involvement is discovered, then it would obviously lead to Russia “actively encouraging” its Syrian partners to curtail that state’s involvement in the conflict just like President Putin implied should have already happened in mid-May. As of now, however, everyone is bound to speculate on what may or may not have happened, but the full truth won’t come out until the conclusion of Russia’s investigation. Until then, there are way too many questions but not enough answers, which naturally gives rise to some of the storylines mentioned in this analysis. There’s no shame in engaging in guesswork, especially over something as high-profile as this week’s tragedy, though it needs to be recognized that many of these ideas are just plausible explanations at best and conspiracy theories at worst. Even so, they nonetheless point in the direction of the most pressing questions that need to be answered, such as the veracity of Israel’s claims and the possible indirect involvement of Iran, to say nothing of the mysterious allegations of French involvement that have since seem to have been swept under the rug.